Board games! We love them, and hopefully you do too! I have been playing Kingdom Hearts 1.5 on Playstation 3 and recently started the game Chain of Memories which originally came out on the Gameboy Advanced. I never got to play Chain of Memories originally so it has been really interesting to play through it now. There are some aspects of the game that I am not a huge fan of, but the story is the tie-in between Kingdom Hearts 1 and Kingdom Hearts 2. The element that is particularly intriguing (although not always well executed) are the use of cards. The cards are used to generate rooms and to make attacks. 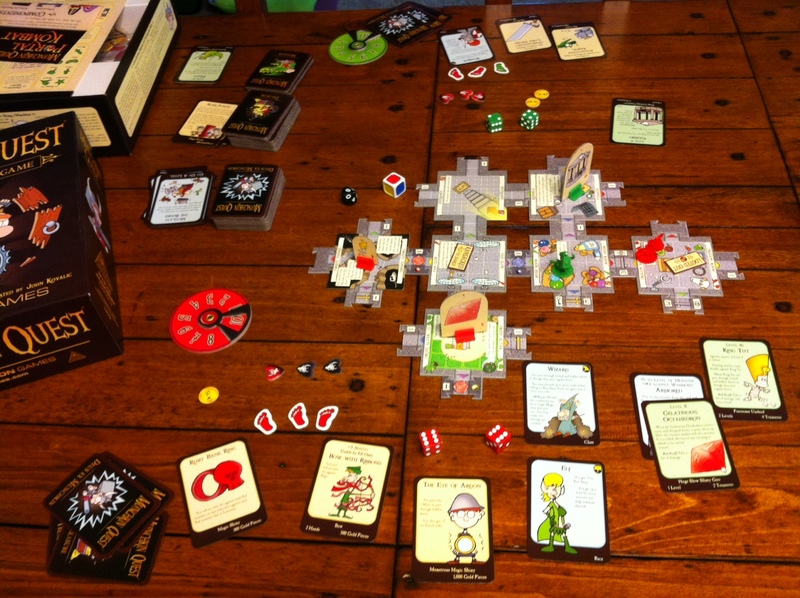 David actually points out that there are quite a few elements that are reminiscent of Munchkin and Munchkin Quest and in fact could serve as a great example of how to make a Munchkin Video Game. Munchkin Quest in action! From this post.